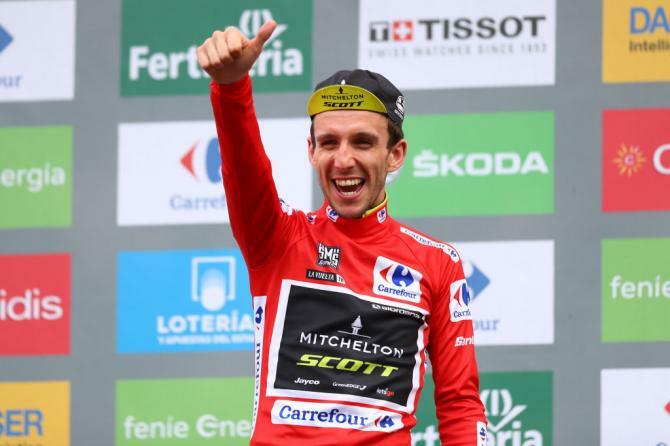 Simon Yates (Mitchelton-Scott) is poised to win his first Grand Tour title after he successfully defended his lead of the Vuelta through Saturday’s 20th stage. Yates will take his advantage of 1 minute, 46 seconds, over Enric Mas (Quick-Step Floors) into the final stage, when race custom dictates the riders don’t attack the race leaders on the traditional arrival to Madrid. Mas moved into second place overall with the stage victory. 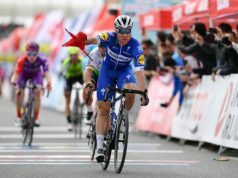 The Spaniard edged Miguel Angel Lopez (Astana) at the finish of the short but incredibly demanding 97-kilometer route in Andorra. Riders faced six categorized climbs including a finish atop the beyond-category Coll de la Gallina. 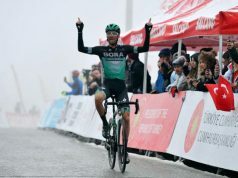 After being helped by brother Adam Yates to withstand the fast pace set by Astana midway through the stage, Simon Yates attacked on the fifth climb to ensure he kept the red jersey. Alejandro Valverde entered the stage in second place, but he withered under Yates’ attack and the pursuit by the other top riders. 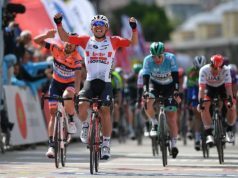 The 38-year-old former winner fell to fifth place in the overall standings. Yates was third to cross the finish line, around 20 seconds behind Mas and Lopez, who completed the brutal test in just under three hours. 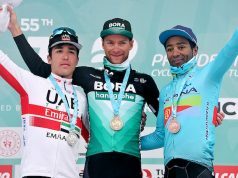 Lopez moved into third place in the general classification. 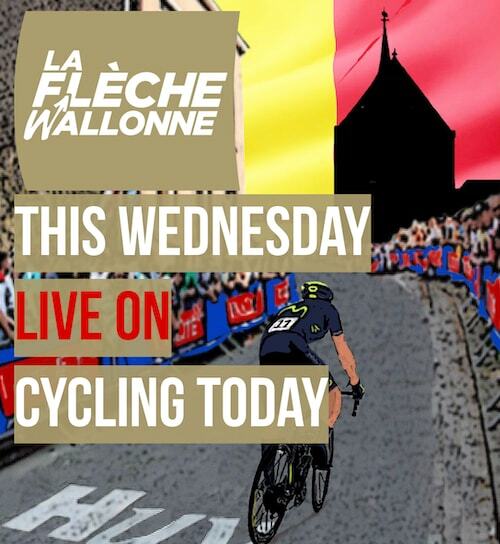 It will be the biggest win of Yates’ career. 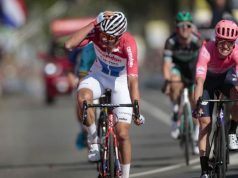 The Mitchelton-Scott rider led the Giro d’Italia in May for 13 stages before ceding the lead with two days left to eventual winner Chris Froome. 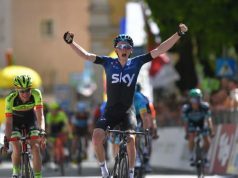 Yates’ win of the Vuelta will also complete a sweep by British riders of the season’s three Grand Tours. Sunday’s 21st stage is a flat 101-kilometer ride from Alcorcon to the center of the Spanish capital.